SenzaGen announces today that a scientific evaluation of GARDpotency shows that the test reveals with high accuracy whether chemical substances are allergenic and how strong the allergic effect of the chemical is. The results have been published in the prestigious scientific journal Altex. GARDpotency is a gene-based test which is carried out in vitro, thus eliminating the need for animal testing. 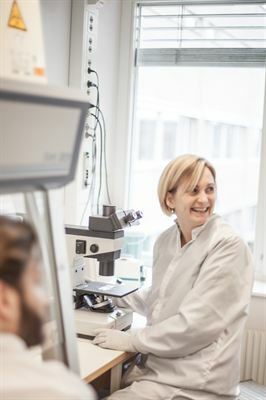 The recently published scientific evaluation has been conducted by a research group at Lund University led by Malin Lindstedt, professor and senior lecturer at the Department of Immunotechnology. The research group has been able to identify 52 biomarkers which, with very high accuracy, can quantify the allergenic effect of a chemical substance. GARDpotency is thus able to meet the challenges facing chemical manufacturers as the authorities tighten the requirements for allergy testing at the same time as regulating and prohibiting the use of the animal tests which are currently in use. “The results of this scientific evaluation underline the fact that GARDpotency has the potential to revolutionize the testing of the chemicals we come into contact with in our daily lives. A significant advantage of GARDpotency is that it enables existing animal-based methods in regulatory testing to be replaced in line with the EU’s REACH regulation,” says SenzaGen CEO Anki Malmborg Hager. The EU’s chemical substances regulation REACH places strict controls on the evaluation, registration and use of chemical substances. Since 2013 cosmetics may not be allergy tested on animals and, under the REACH regulation, animal-free methods must be used if available. One consequence of this is that chemicals classified as allergenic must also be potency-classified without the use of animal testing. SenzaGen has commenced a limited launch of GARDpotency and is now working to adapt the test method to the needs of industry and to achieve OECD validation. GARD is a group of tests for assessing chemical skin sensitizers. The tests make use of genetic biomarkers for more than 200 genes which cover the entire immune reaction and are relevant to predicting the risk of hypersensitivity. The tests have 90% reliability. This compares with the current predominant test method, experiments on mice, which has a reliability rating of 72%. SenzaGen’s tests are also capable of measuring the potency of a substance’s allergenic properties. Consequently GARD tests provide a much more comprehensive basis for determining whether a substance should be classified as an allergen than current testing methods.